Here are some frequently asked questions about the services we offer, the necessity of the service, and the benefits of proper stabilization. How thick can you pulverize? 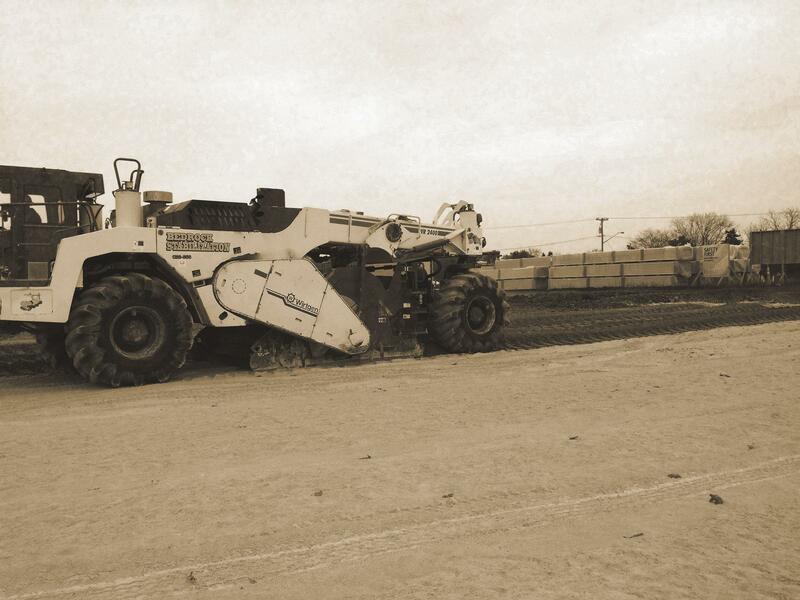 We typically bid up to 10 inch thick asphalt but have pulverized over 14 inch thick asphalt. How wide is the pulverizing machine? Our Wirtgen & Cat reclaimers have 8' wide drums. Soil Stabilization is the long-term physical and chemical alteration of soils/bases to enhance their physical and engineering properties. Stabilization of in-place soils by incorporating additives can increase the shear strength of a soil/base and/or control the shrink-swell properties of a soil/base, thus improving the load bearing capacity to support pavements and foundations. Soil Modification is primarily intended to reduce moisture content, reduce PI’s or build soil strengths to bridge poor soils where there is not a structural design consideration. This tends to be more an acquired art than a science. 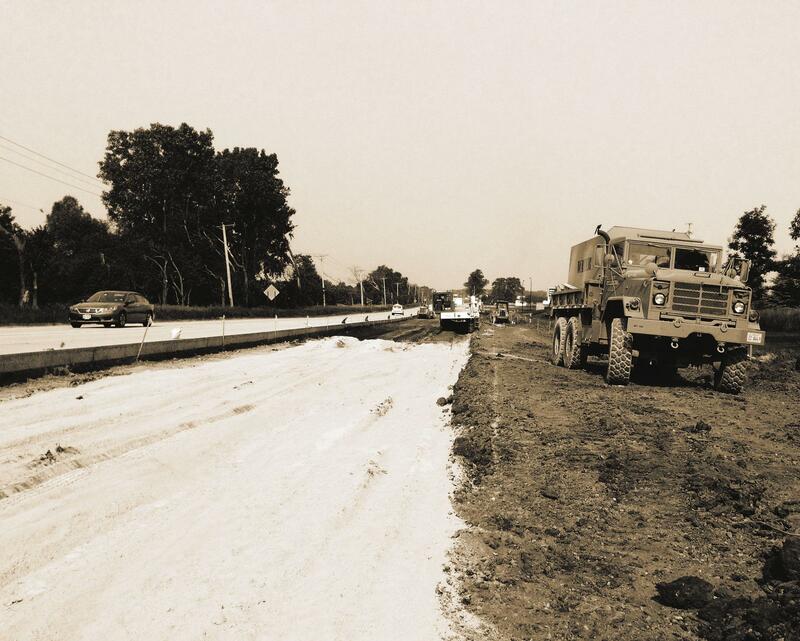 Can you guarantee that soil stabilization/ modification will work? We guarantee that we will follow the specifications, apply the specified amount of material, mix to the specified depth and meet the agreed schedule. When you require modification to “bridge” unstable soils or reduce moister content we have a wealth of knowledge gained from our many projects successfully completed. Should I choose cement or lime stabilization/ modification for my project? 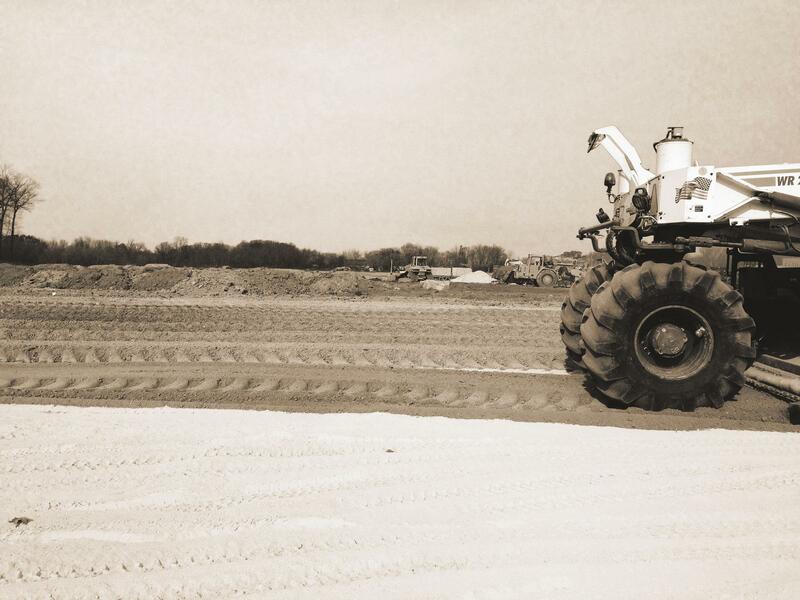 Lime is primarily used to dry soils, reduce plasticity and reduce expansion characteristics. Lime stabilization is the process of spreading and mixing lime into soil/base to improve physical and engineering properties. Lime is also a great product for drying out wet subgrade as well. Adding as little as 1% quicklime can greatly reduce the moisture content. Cement is primarily used to build strength as part of the design process or to improve the engineering properties of soil. The quantity of cement varies depending on the soil/base and desired results. 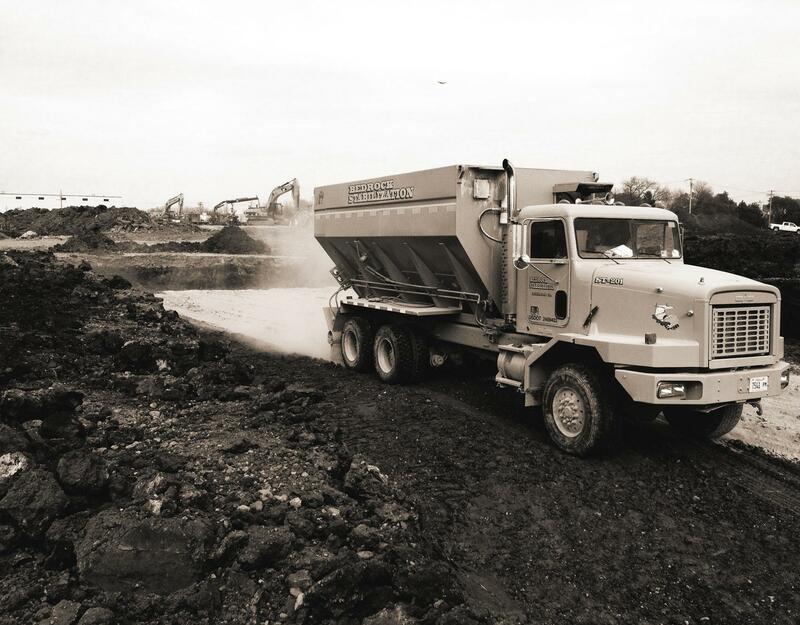 Sand, silt and gravel soils require cement or fly ash to achieve desired results.